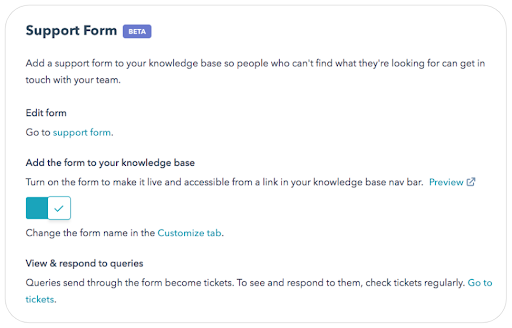 Service Hub users can now add a support form to knowledge base articles so that your customers can raise tickets if they cannot find an answer to a question. The support form can be switched on in the Knowledge Base settings. Keep reading to learn more. 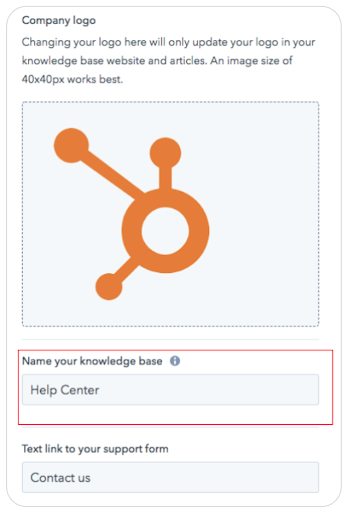 Your knowledge base should be the first place customers turn when they have a query regarding a product or service. In the cases where the customer is unable to find the information they require, they should not be left at a loss as to what to do next. 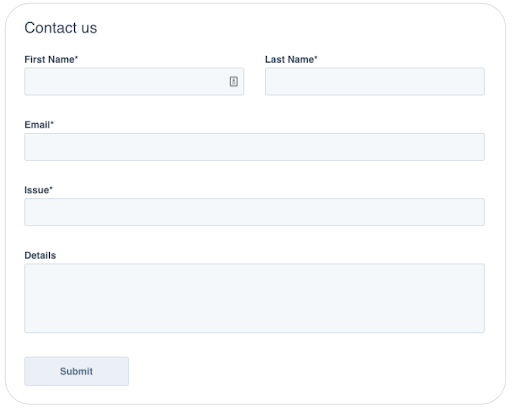 Adding the support form to knowledge base allows customers to reach out to you when they are unable to help themselves. To make changes to the support form, click the “Edit the form in support form settings” link (note: changes made to the form will be reflected on every page that the form is used). This feature is available now for all Service Hub Professional and Service Hub Enterprise users.